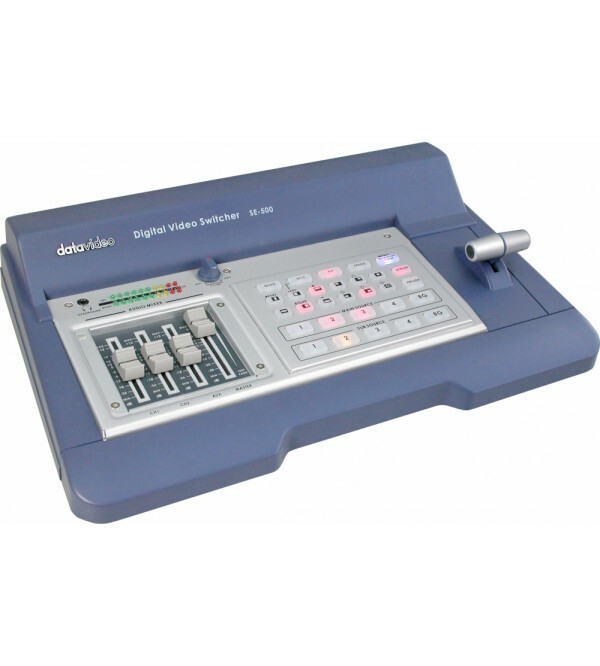 The Datavideo SE-500 Live Production Switcher is a four input video mixer offering composite and Y/C functionality. This device features multiple effects, mic inputs and quad split monitor output. Picture in Picture transitions can be programmed to position in various parts of the frame. The monitor output has a quad split function so the user can preview each input on one monitor. With the supplied breakout cable, the composite and Y/C outputs can be adapted to a 3 wire component output. A tally output is offered on a DB-15 connector. One auxiliary input is offered with two mic inputs; slide controls for mixing is offered for each input. 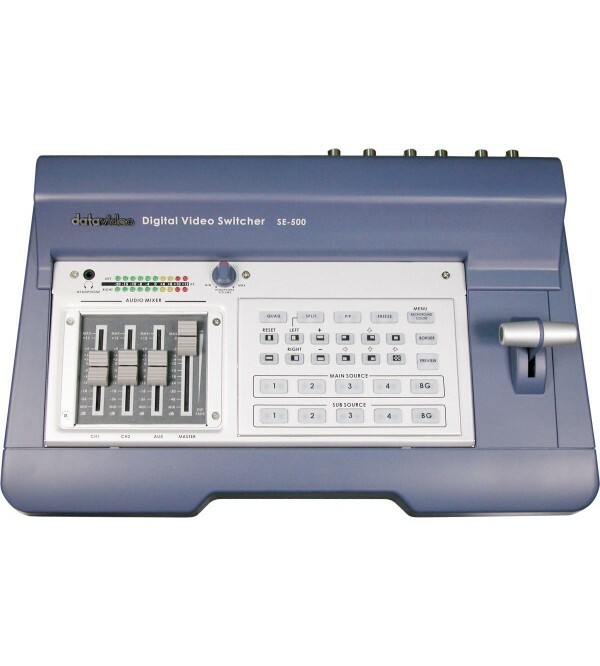 The MIDI connections operate with other equipment to create programs synchronizing audio and video for presentation applications.